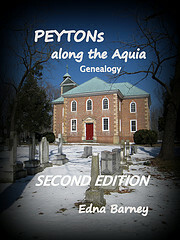 I have two Poore, aka Poor, ancestors who have Revolutionary War service – son and father, John and Abraham Poor. I proved them both for DAR so that anyone who can prove descent from them may join that organization. John and Mary Poor of Buckingham County, Virginia had a son, Imanuel (Manuel) Poor who married R. Snider in Nelson County, Virginia. He must have gone West afterwards, as I have encountered no records of him in Virginia after that. 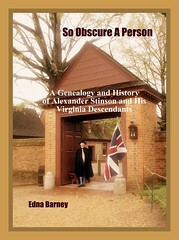 The Poor family had connections to Albemarle County, Virginia, and he was in Albemarle in 1804. On 2 August 1777, Abram Poore signed the Goochland County, Virginia Oath of Allegiance, his name being number 18 on the list of W. Harrison, from the Ann Waller Reddy Collection, box B, file 2, FC, “List of Oaths of Allegiance”, at the DAR Library. Abraham Poor contributed 4 bushels of wheat and carriage to the Revolutionary cause, from Virginia Publick Claims, page 5, Goochland County, Virginia List I, 1780-1781. He provided 1 peck of cornmeal, 76 pounds of pork, 72 pounds of bacon, 1 pound of salt, 1 large bullock and 275 pounds of beef for Continental and State use, recorded in Goochland County, Virginia Court Booklet dated 19 March 1782. He again gave 250 pounds of beef and one gun for State use. On 16 August 1777, John Poor and his brother Robert signed the Oath of Fidelity in Goochland County, Virginia. He was drafted during the Revolution and served as a Private in the Virginia Line of the Continental Army for a term of twenty months. In his pension application, S38314, he stated “he was drafted as a private soldier of the war of the revolution on the continental establishment the twentieth day of March 1781 in the county of Albemarle and marched from thence to Chesterfield Court-house where he was allotted to the company commanded by Captain Robert Gamble of the 8th regiment of the Virginia line – That he was at the siege of York in Virginia at a skirmish in Georgia near Savanna and engaged in an attack by the Indians and having served until the 5th day of November 1782 and was then regularly discharged by Genl Charles Scott at Cumberland Court-house in the State of Virginia”. I have never located any Poor cemeteries or gravesites. Perhaps someone reading this may know where they are buried.